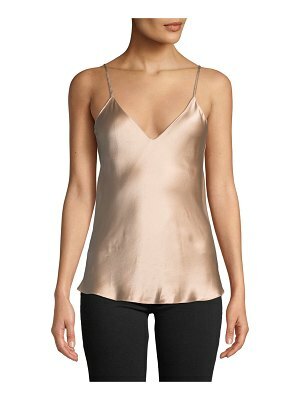 Sleek and slinky in curve-skimming silk, this night-out-worthy camisole features flattering V-necklines, front and back, and delicate, adjustable tie straps. 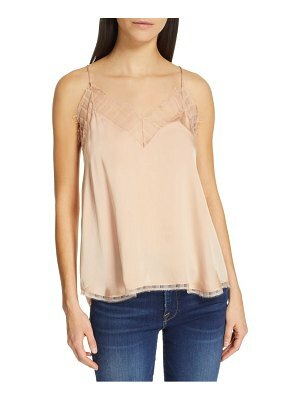 Style Name: Paige Cicely V-Neck Silk Camisole. 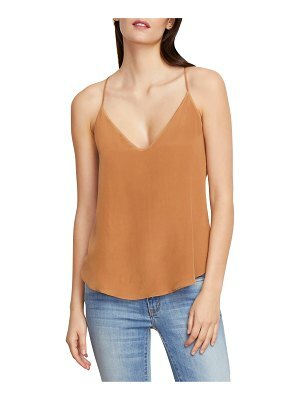 Style Number: 5796591. Available in stores.